Fourth of July is in one week! What are your plans? I’m spending time with family and soaking up the sun. 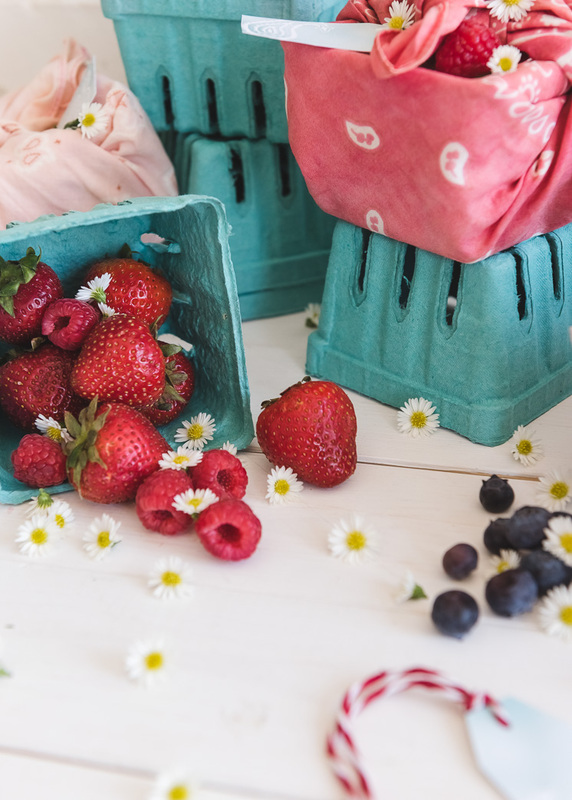 If you’re enjoying the holiday with company, we’ve got the perfect gift to send your guests home with. 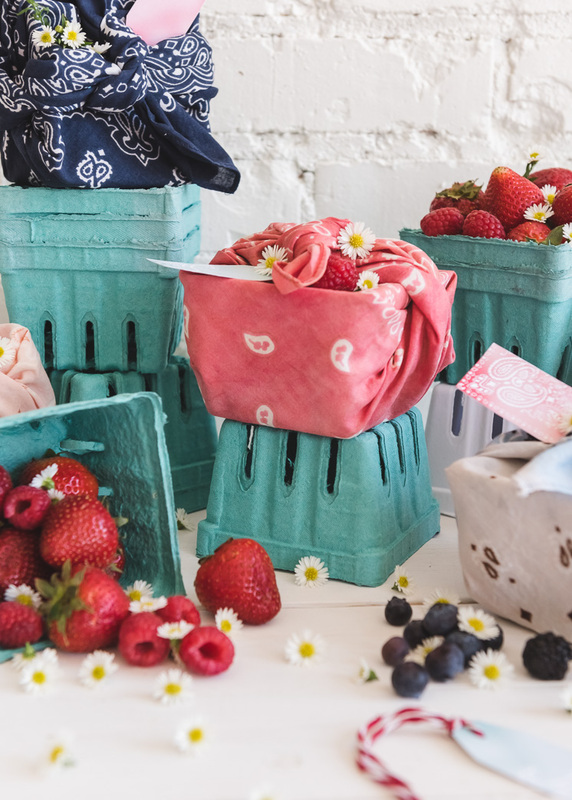 These Bandana Berry Baskets are seasonal and patriotic, but not overly so! 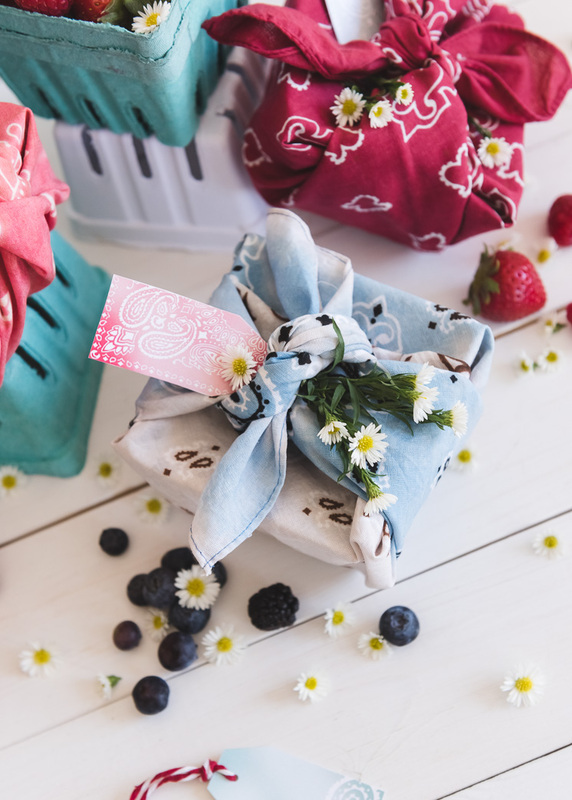 Last year we posted a tutorial on how to bleach bandanas to give them a beautiful faded look. Check it out if you missed it! 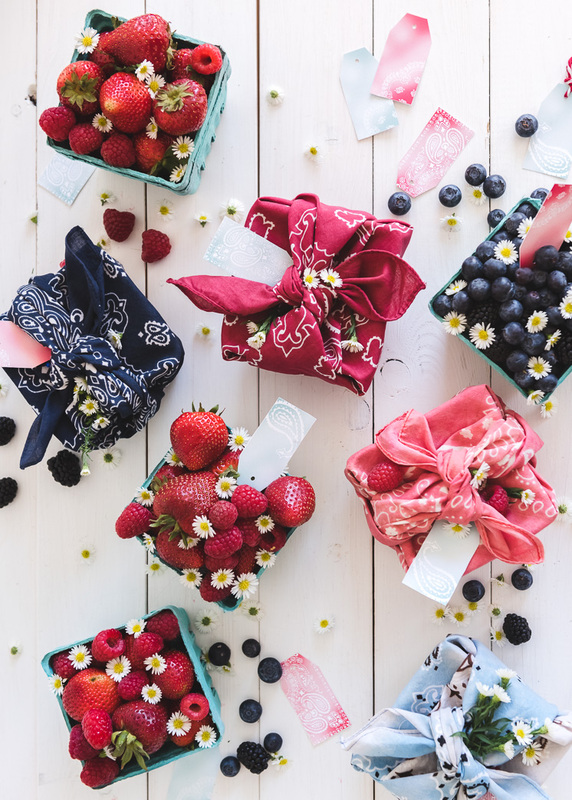 We’ve chosen a patriotic palette of those bandanas to wrap up fresh berry filled baskets. 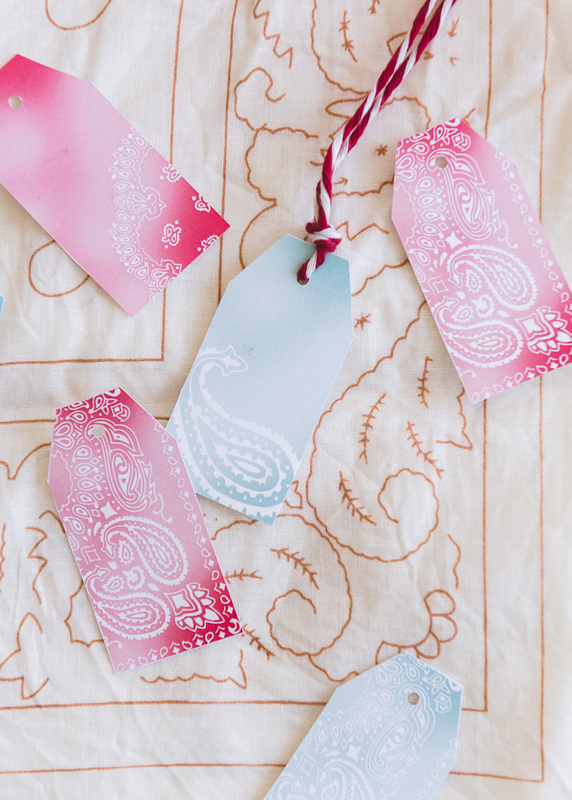 We’ve even created a coordinating bandana inspired tag to accompany the gifts! 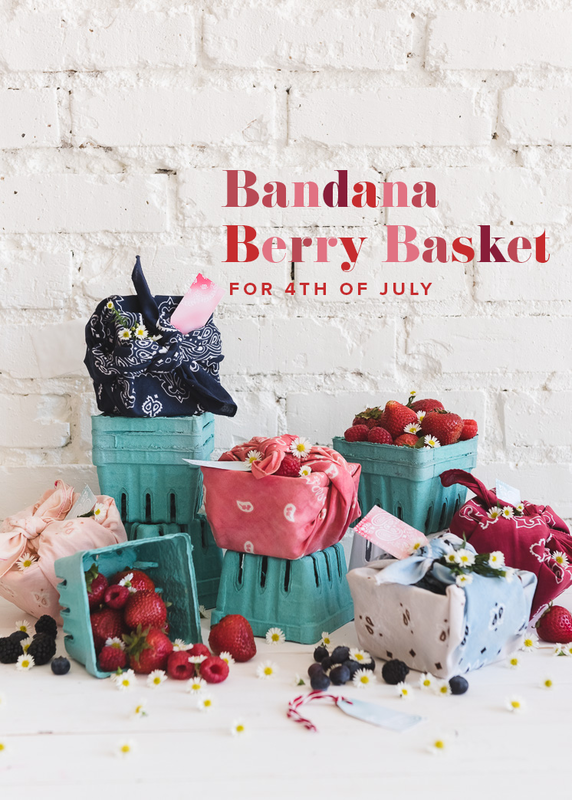 So share the fruits of the season with bandana berry baskets! 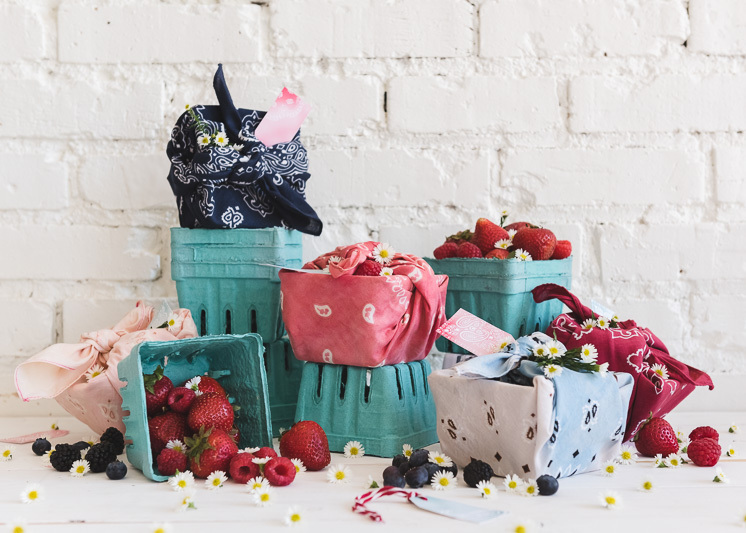 See how to wrap your basket properly with a bandana! 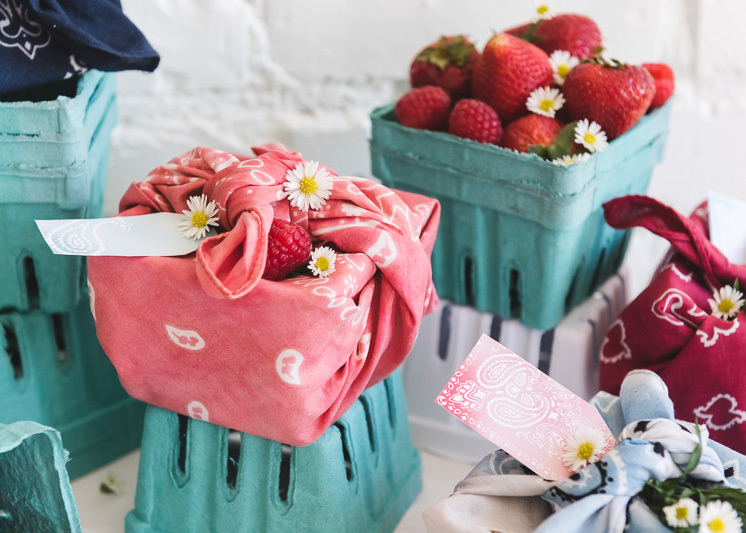 Paper Molded Pulp Berry Baskets We found ours at Hobby Lobby, so check your local craft stores! Then fold those two sides up and over the basket, so they overlap. Lastly, bring the two tails up and over the box and tie a knot. So cute!!! 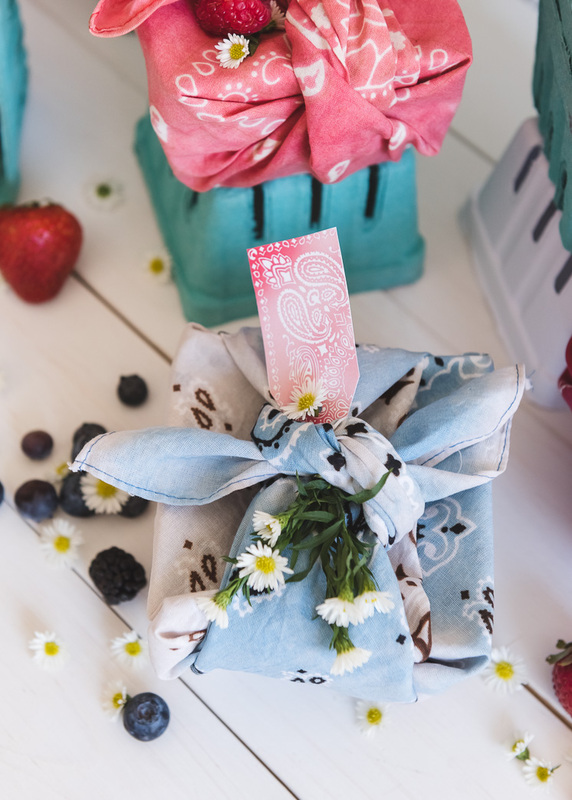 I just did a Fourth of July Hostess Gift post. These would be a perfect addition!